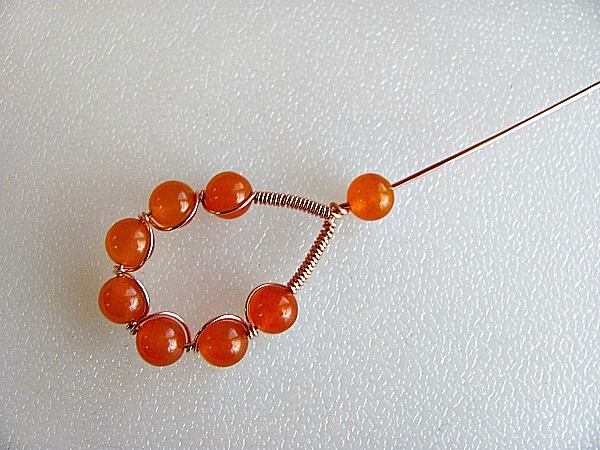 Learn how to make these modern elegant wire and bead earrings. 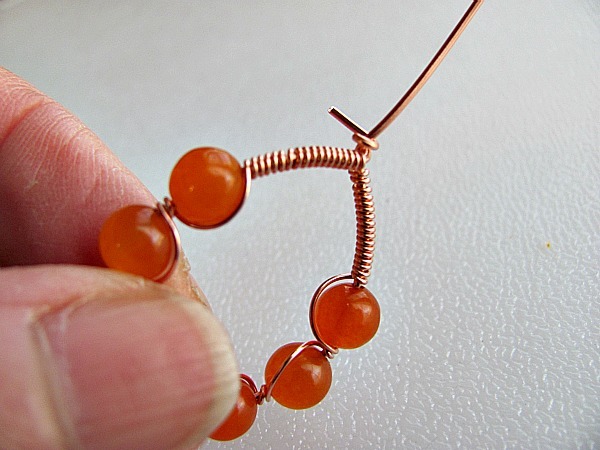 These earrings all utilize the same basic design and are relatively easy to create. 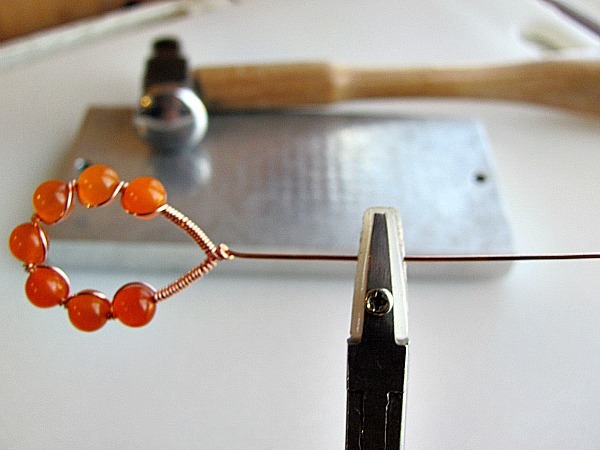 No complicated wire work skills are necessary. 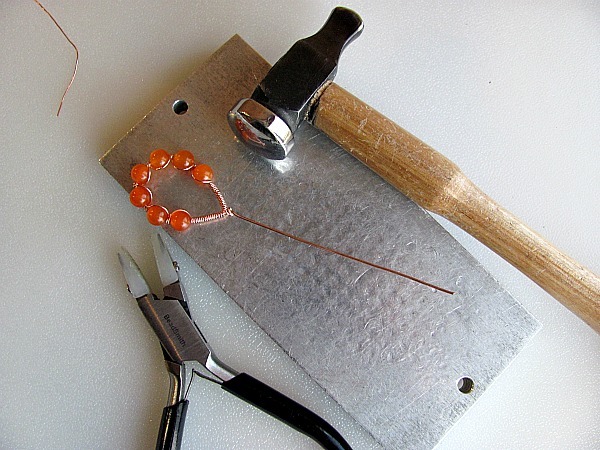 You can vary the number of beads, shapes, colors and patterns as you please. 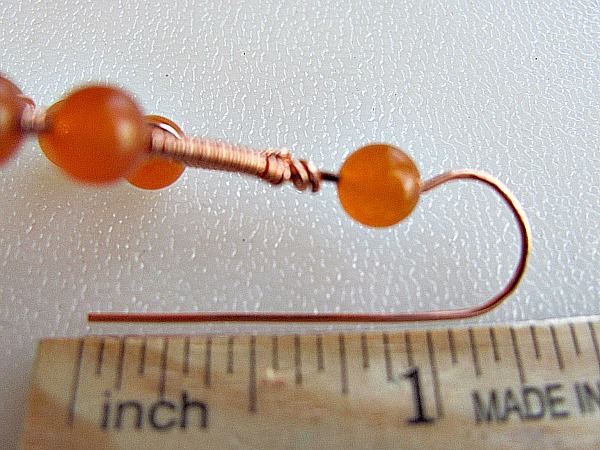 These earrings all utilize the same basic design and are relatively easy to create. 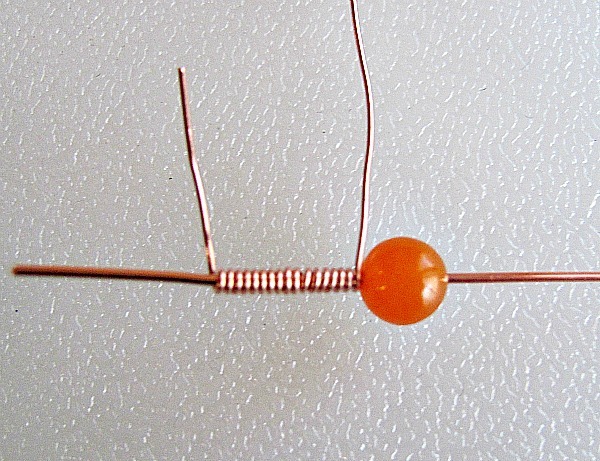 No complicated wire work skills are necessary. 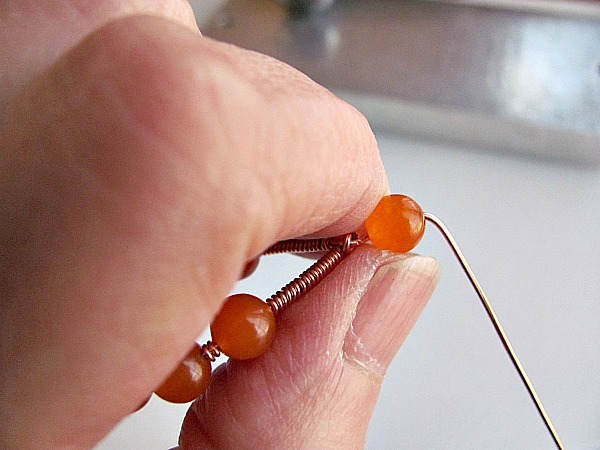 You can vary the number of beads, shapes, colors and patterns as you please. 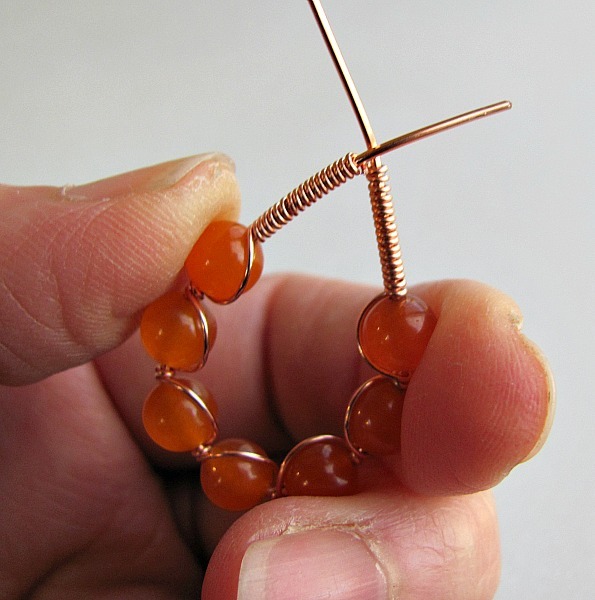 I recommend bead sizes no bigger than 6mm. 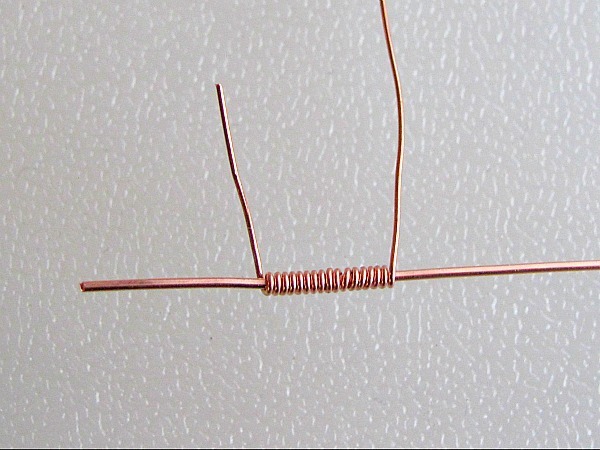 The hole should be big enough to fit 20 gauge wire. 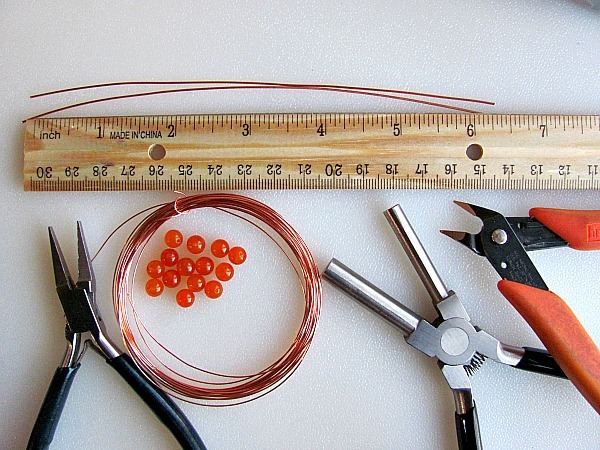 Hold the 20 gauge wire in your non dominant hand and start wrapping a 14″ section of 24 gauge wire about 1/2″ from the end. Make approximately 14-16 wraps. 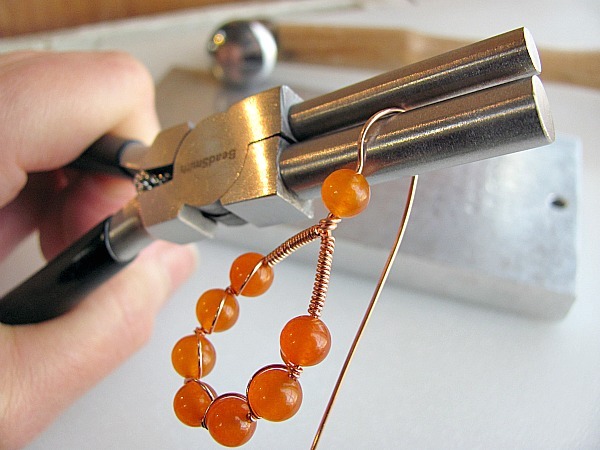 Go over the bead with the 24 gauge wire and wrap around the 20 gauge, down, around and back up. 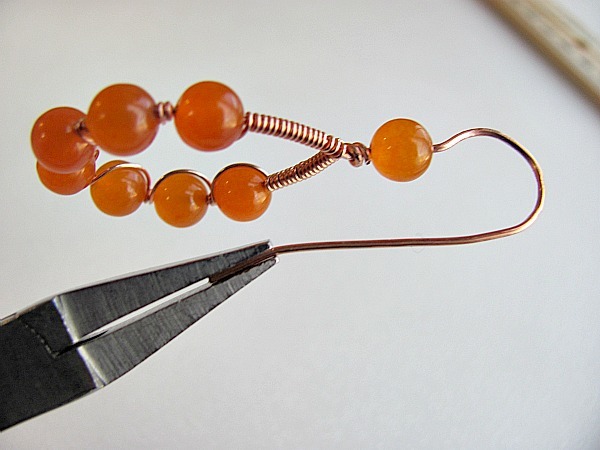 With a mandrel, pencil, marker or other cylindrical shaped tool, curve the wire toward the front of the earring to create an open loop. 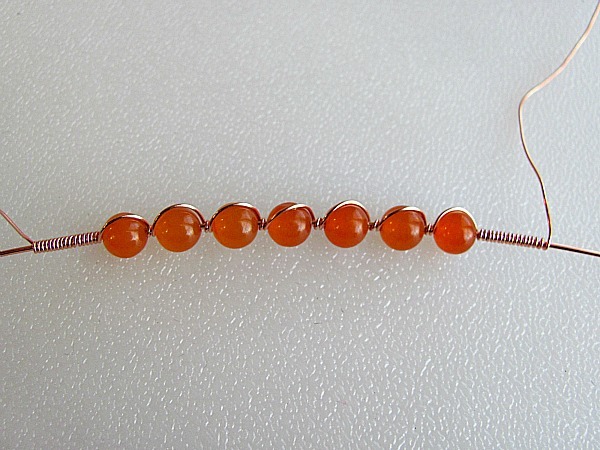 Try to keep the small bend over the bead. This will hold it in place later. Your earring is finished. 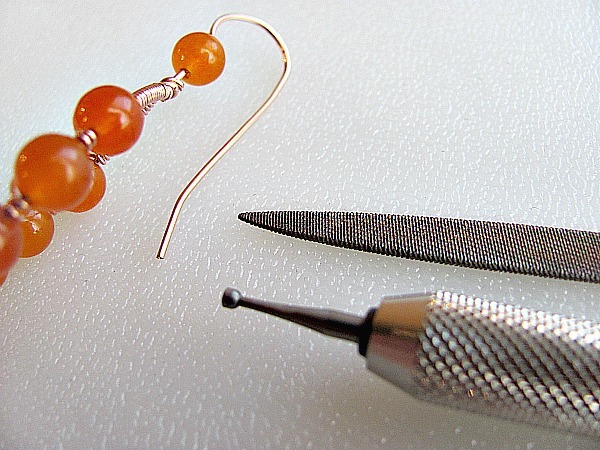 Make the other earring. They should look something like this. 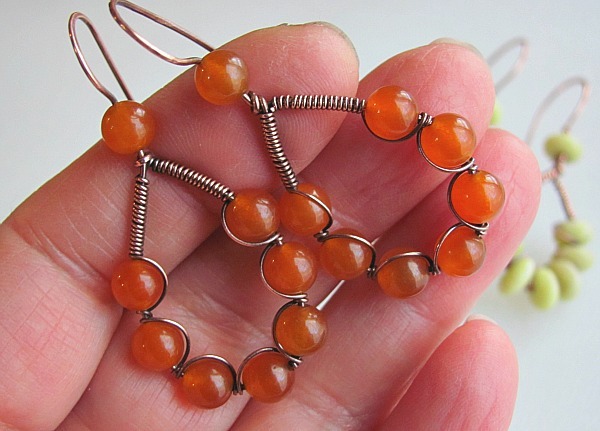 These have been oxidized with Liver of Sulfur. 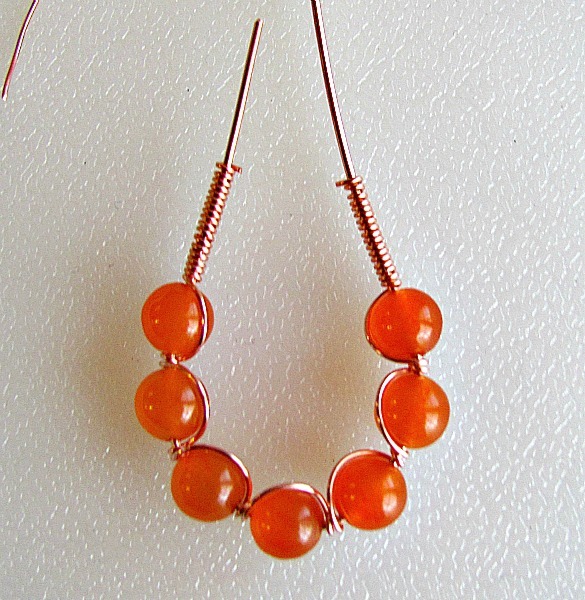 Be sure to check out Art-Z Jewelry on Facebook and Twitter. Fabulous tutorial! These earrings are awesome! Thanks MegansBeadedDesigns, they’re fun to make too. Great job on your tutorial mom & cool pictures! Thank you Rita:) It’s not easy making something, stopping at each step, taking the photo, holding everything in place and focusing the camera. Oh Wow! Thanks for sharing this tutorial! I will try and make some myself! What a great tutorial! You make it look so easy, of course, this, like everything else takes practice, practice, practice before you reach that professional display. These are really fun! Thank you for the tutorial. Awesome tutorial, thank you so much I can’t wait to try this! 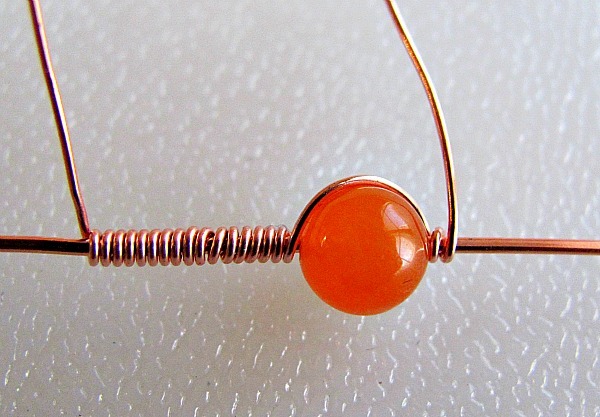 Yay, my first go at coiling or wire earrings. Great tutorial, thanks tons! I love this ! Great idea! Wow they are so beautifu, you’re such a genius creator! Have a lovely Day. As a beginner I really appreciate the step by step instructions and of course the pictures are invaluable!